NEW STAGE CLOTH BROWN FLAX Latex Backed Canvas. 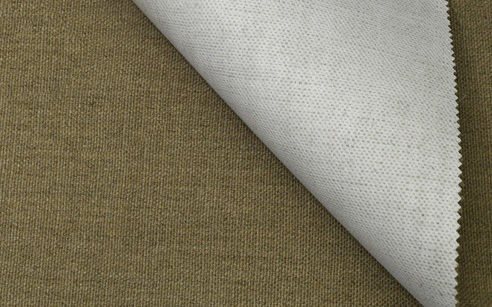 We are pleased to announce that we now have in stock a new Brown Flax Latex Backed Canvas at 575gm/m² – 200cm wide, which can be used for non-slip floorcloth purposes. 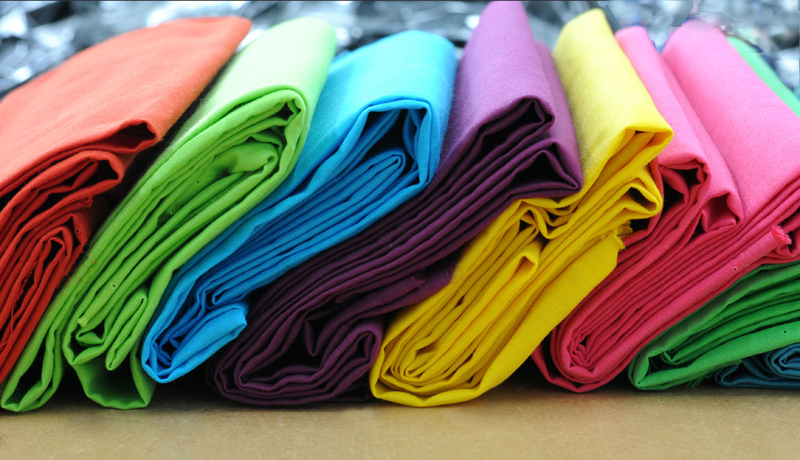 10 New additional bright colours to our Polyline range in the 1.50m width, making it now a total of 32 shades. In stock now! 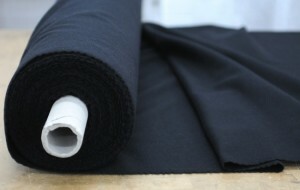 We are pleased to announce that we have added the 183cm (72″) IFR Heavy Black Wool Serge to our range of materials. The current batch achieves a minimum weight of 650gm/m², therefore this NEW cloth is wider, cheaper and heavier than the previous. 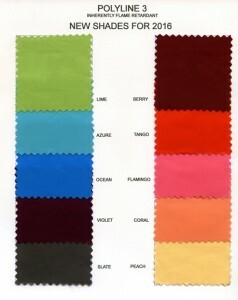 Please see below our 8 new bright additional shades of our Casement fabric making it a total of 38 shades. Sample cards will be available in 2 weeks, all shades are in stock. Shade Cards of our other new ranges listed below will be available in 2 weeks. If you are interested in receiving them please call our Sales Department to request. Please note our Christmas closure is from the 23rd of December 2015 until the 3rd of January 2016. 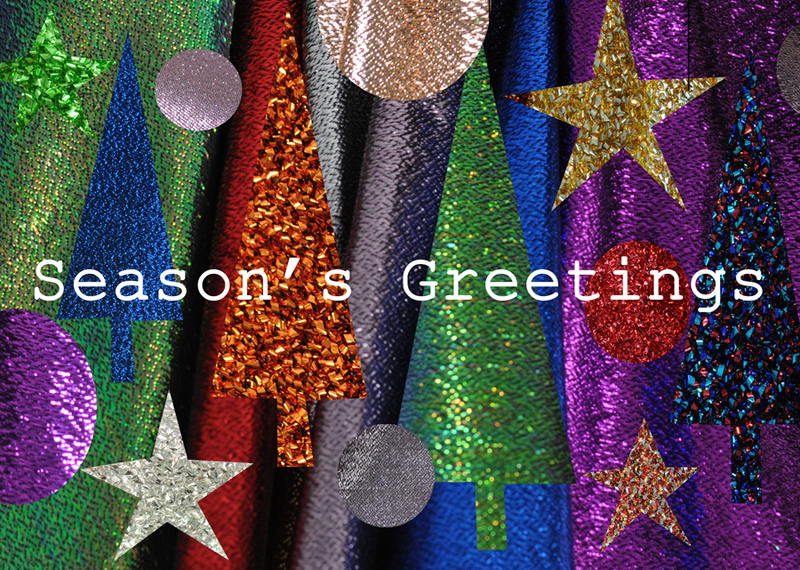 Our last despatches will be made on Tuesday 22nd December 2015. AMARI 280cm (110″) IFR 3 Pass Blackout Polyester/Acrylic in a shade range of 18 colours. ECLIPSE 300cm (118″) IFR Blackout Polyester similar to our existing 150cm Eclipse but now in 300cm and in a different shade range of 18 colours. ODINE 300cm (118″) IFR Blackout similar to the Eclipse but with an interesting textured linen effect surface in a shade range of 14 colours. 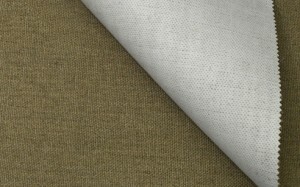 VEGAS 620gsm Velour, 150cm (60″) New NDFR Heavy (620gm/m²) in a shade range of 8 colours.